Phew! The first trimester is nearly over. We waited to make the great news public until after we could see the little guy and here he/she is! Still called ‘Bruce’ for the code name, the baby is healthy, wiggling, and putting up on a whole new level of happiness. I’m sure every other first time parent gushed like we did so I won’t try to rehash the excitement. 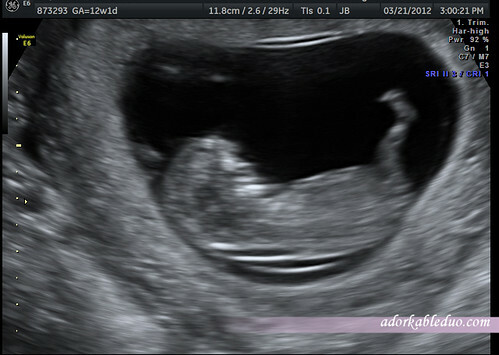 The nice technician actually tried to get us a 3D ultrasound picture, but frankly, it was a strange little blob. 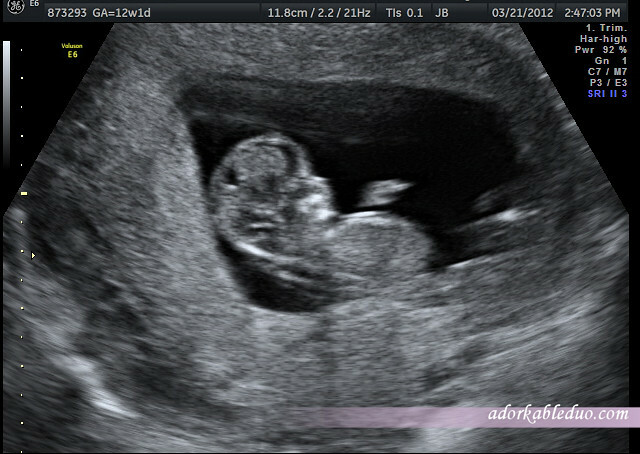 The first trimester has been a breeze for me, *knock on wood*. I only had fatigue after coming back from work travels in Malaysia for about two weeks, but other than that, I’m great. I’ve kept food down, thankfully, since I love food and that would be a terrible waste. I had bad migraines for a week until I found the magic source of Vitamin B supplements. Hallelujah.